The Word of God speaks to our hearts through the method of Lectio Divina: reading, reflecting, praying and acting. Thanks to the work that has been gathered in the Catholic community as well as other Christian denominations, the written Word of God is continually being realized in the faithful translations of the original Hebrew and Greek as well as in the commentaries that connect the text to the needs and hopes of the people of today, be they believers or non-believers. 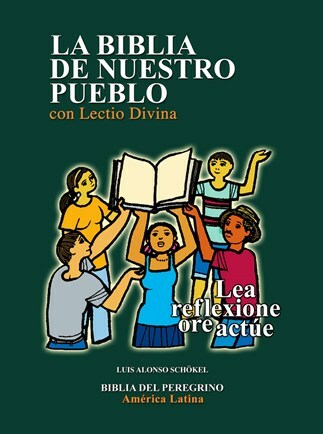 In order to continue to provide improved translations for readers, this new Latin-American edition of La Biblia del Peregrino is available: La Biblia de Nuestro Pueblo con Lectio Divina-Biblia del Peregrino América Latina.